We are VERY excited to announce the latest addition the Allevi Author Club; the Guvendiren Lab from the New Jersey Institute of Technology. Dr. Guvendiren’s lab focuses on creating novel bioinks for tissue engineering and regenerative medicine applications with a focus on 3D bioprinting. Their most recent paper, published in Acta Biomaterialia and titled “3D bioprinting of complex channels within cell-laden hydrogels”, explores their new approach to 3D bioprinting vasculature into 3D tissue. There are many different methods for creating microchannels within constructs, including electrospinning, fiber bonding, and casting solvents into molds. However these techniques don’t allow for precise control of channel size, shape or location. They can also be time-consuming and restrictive in the number of cell lines that you are able to work with simultaneously. The Guvendiren lab is exploring a new approach to creating these channel-laden tissues using their Allevi 2 bioprinter. In their paper, they explore a method of 3D bioprinting sacrificial bioinks into cell-laden hydrogels (pluronic into methacrylated alginate/methacrylated hyaluronic acid to be specific). This technique allows them to create custom channel geometries, control channel thickness and tune the hydrogel rigidity. They also explored a super cool technique wherein they alter the printhead speed in order to create channels of differing diameters. Their images from confocal scanning show strong endothelial cell (HUVEC) attachment to the channel walls and depict the final 3D bioprinted vein construct. This research explores important techniques for creating tunable microchannels within 3D tissues. We can imagine a future wherein these methods are used to create 3D bioprinted organs with custom and complex vascular networks. It could also be used to create custom 3D models to study disease progression and test drug efficacy and toxicity. Amazing work, Guvendiren Lab!! Click through to read their material characterization and learn more about their bioprinting approach: https://www.sciencedirect.com/science/article/pii/S1742706119301515. One of the challenges within tissue engineering is creating thick tissues. Why is that? To date it has been challenging to add vascularization to 3D printed tissues. Vascularization is our body's highway system. Networks of veins reach each cell to deliver fresh oxygen and nutrients, and remove waste and carbon dioxide. This vascular network is essential for organ function. The challenge within tissue engineering has been to replicate these networks, but even more so… to design them. We have been limited in our bioprinted tissue's thickness because it has been difficult to create these highways in the lab. ....Until now. 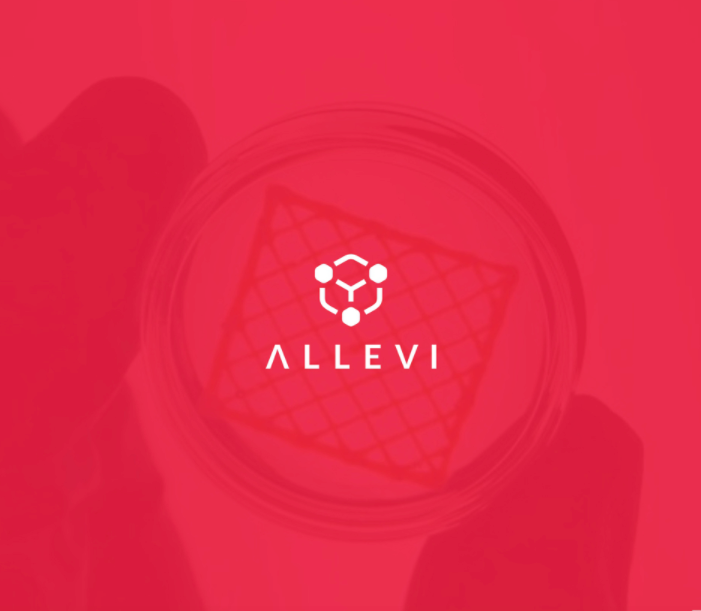 We are excited to launch the Allevi Vascularization Kit that empowers you to replicate some of the most complex vascular trees in an easy way. It enables you to create cm thick tissues in an automated, standardized fashion and allows your thick tissues to live for weeks. Vascularization is foundational to begin studying, and replicating the body outside the body in a more accurate way. We are excited to provide you with a cornerstone application within the Allevi platform to help you find solutions to humanity's most difficult problems. Organ-on-a-chip technology, developed by the Wyss Institute at Harvard, has had a revolutionary impact on the field of tissue engineering by allowing the creation of models that mimic organ function and model diseases in a device that fits in the palm of your hand. We were amazed in 2012 when we read Dr. Dongeun Huh and Dr. Donald Ingber's paper in Science Translational Medicine that successfully created a diseased lung-on-a-chip. Their findings demonstrated the ability to identify a drug's life-threatening toxicity that went unnoticed through traditional experimental methods, such as animal testing models. It was a milestone achievement and it inspired us to learn more about tissue engineering and its possible impact on humanity. Today, we're excited to offer Carbohydrate Glass from Volumetric™ Inc. and published in Nature Materials in our new 3D Organ-on-a-Chip Kit. Carbohydrate Glass is an incredible sacrificial material that has excellent printability and makes high-resolution microchannels. This new bioink kit will provide you the ability to create custom 3D geometries within organ-on-a-chip devices and allow for design freedom to create custom in vitro organ systems that were previously not possible. Our mission here at Allevi is to get technologies like this one into the hands of researchers who can really make a difference. We have worked closely with Dr. Jordan Miller, co-founder of Volumetric Inc, to perfect the protocol for the Allevi platform. We believe that custom organ-on-a-chip designs will be a major area of innovation for the tissue engineering and pharmaceutical community. This new kit provides another unique high impact application for biofabrication to not only change the field today, but the healthcare industry tomorrow. We can't wait to see what you will do with it.